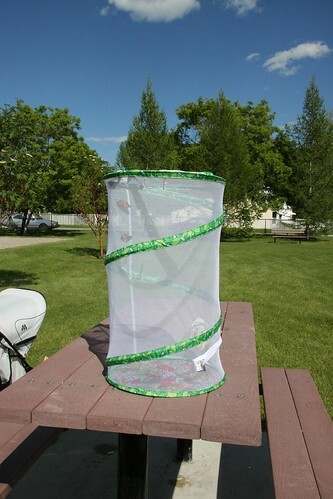 We decided this year that we were going to try growing butterflies. A friends of ours from Dallas did it and it looked like a lot of fun. I found a local place that we could get them from and we started our project. 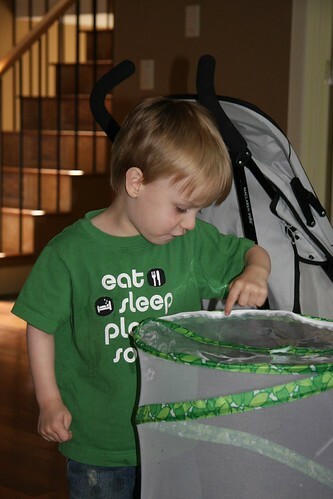 We had to time our delivery so the butterflies wouldn’t arrive until we got back from Vancouver. They were all pretty small when they arrived. 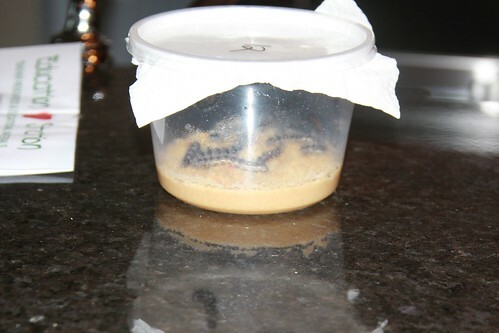 We received 12 caterpillars. 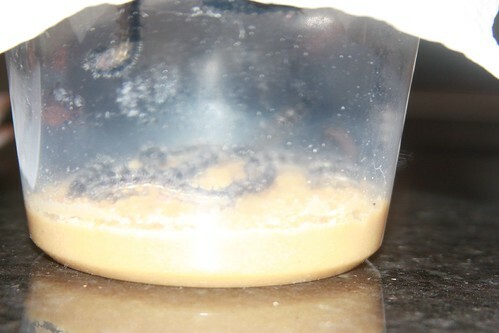 The brown stuff in the bottom is food for them. All we had to do was put them somewhere that wasn’t directly in the sun and wait. Dougie and I checked them every day. It was astounding how quickly they grew! 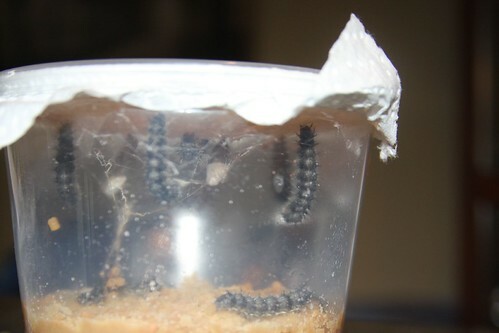 The caterpillars started to hang upside down in a “J” shape. This is a sign they are about to start their transformation. 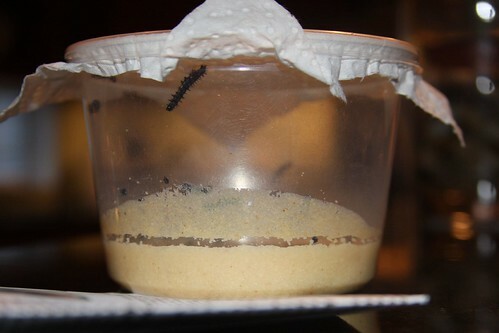 The first one started to change a bit more than a week after the caterpillars arrived. It took almost a week for all of them to get with the program though. 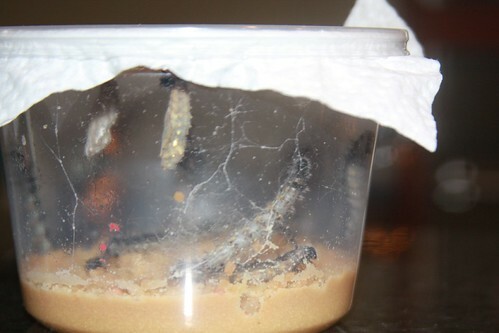 Of the twelve caterpillars, 11 formed chrysalises though one was knocked into the food by the other caterpillars and started to degrade. We let that one as well as the one caterpillar who hadn’t changed go into the wild. 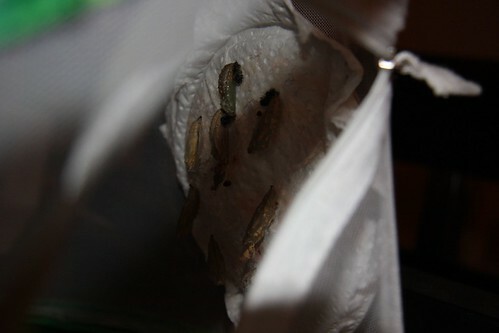 We had to transfer the chrysalises to the butterfly house. 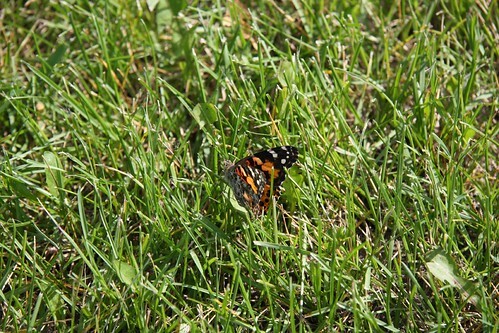 A few days later, the first butterfly emerged. 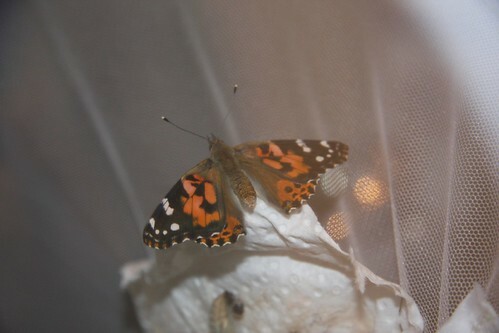 Every day, we got a few new butterflies. We were lucky enough to catch a few of them actually coming out. 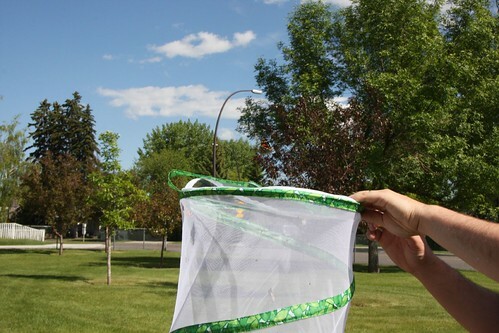 Dougie was thrilled by the entire experience and checked on the new butterflies several times a day. 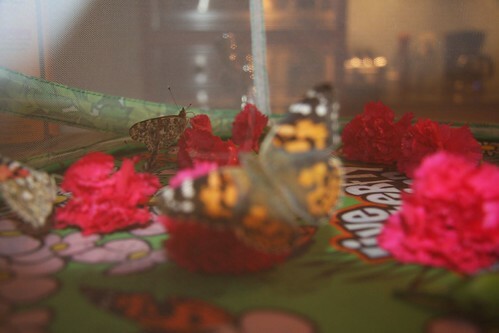 They just eat sugar water so we sprayed that on some flowers. 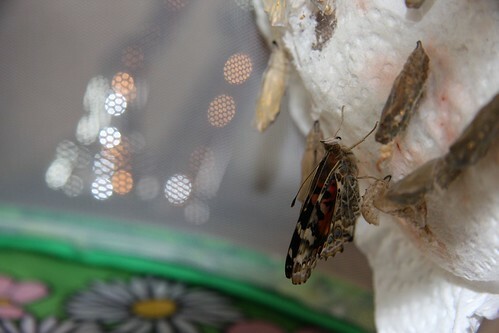 Once they had all emerged, we decided it was time to let them go. It has to be warm enough to release them so we were a bit concerned we may have these butterflies forever but by the weekend, it had been nice for long enough to let them go. Overall, it was a great project for Dougie! We’ll definitely do it again next year.